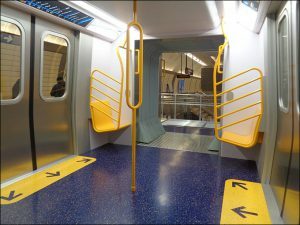 Washington, D.C.’s rapid transit system is moving ahead with plans to buy more new rolling stock. MTA Long Island Rail Road has taken delivery on the first set of M-9 EMU (electric multiple-unit) married-pair commuter railcars from Kawasaki Rail Car USA, following testing at TTCI in Pueblo, Colo.
Kawasaki Rail Car, Inc. has been awarded a $1.8 billion contract by New York’s Metropolitan Transportation Authority to supply an initial order of 92 M-9 married-pair electric multiple-unit (EMU) cars to the Long Island Rail Road. 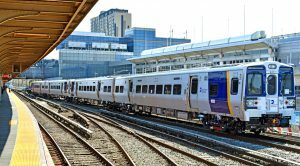 The contract also covers additional anticipated deliveries of 584 M-9s for both LIRR and sister Metro-North Railroad. 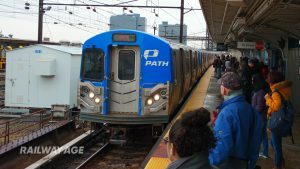 Metro-North Railroad opened its new West Haven, Conn., station to revenue passengers on Sunday, Aug. 18. West Haven Station is located between Milford Station and New Haven on the railroad’s New Haven Line. 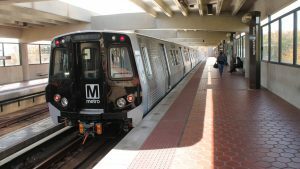 The Washington Metropolitan Area Transit Authority (WMATA) has placed a $184 million order with Kawasaki Heavy Industries for 100 additional series 7000 metro cars, meant to augment and eventually replace Breda series 4000 vehicles supplied in the 1990s. 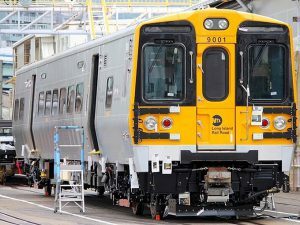 Kawasaki Rail Car, Inc. on May 9 joined with New York State officials, elected representatives, and transportation professionals to celebrate 25 years of manufacturing railcars at its Yonkers, N.Y., plant. During the past quarter-century, Kawasaki has produced more than 2,500 railcars at the facility.